Classically styled fireplace mantel with white painted surface works well in this traditional home. 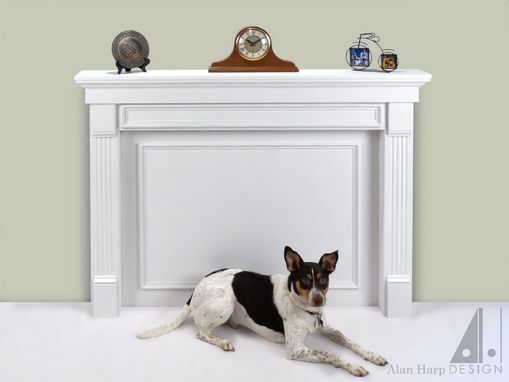 The fluted pilasters and classic trim pieces retain a comfortable look. The central panel was included to cover a non functional fireplace.